The last couple of days there was unstable weather, and intermittent sand storms. Today we even had a little bit of rain. 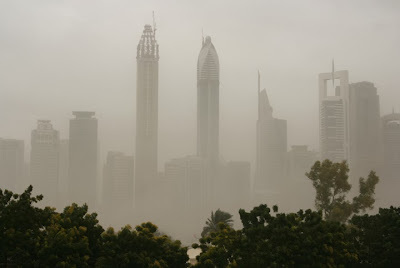 Nothing exceptional I hear you think, except when you live out here, as rain IS exceptional in the United Arab Emirates. As it is not very common the house and road infrastructure are not adjusted to these weather conditions. Even with the slightest bit of rain, the electricity breaks down, the rain’s coming in through the roof and the roads are flooding. I am talking about a normal shower of rain and not a tropical downpour. All schools were evacuated today, and another couple of drops of rain later the kids were dropped at my doorsteps by the school bus. 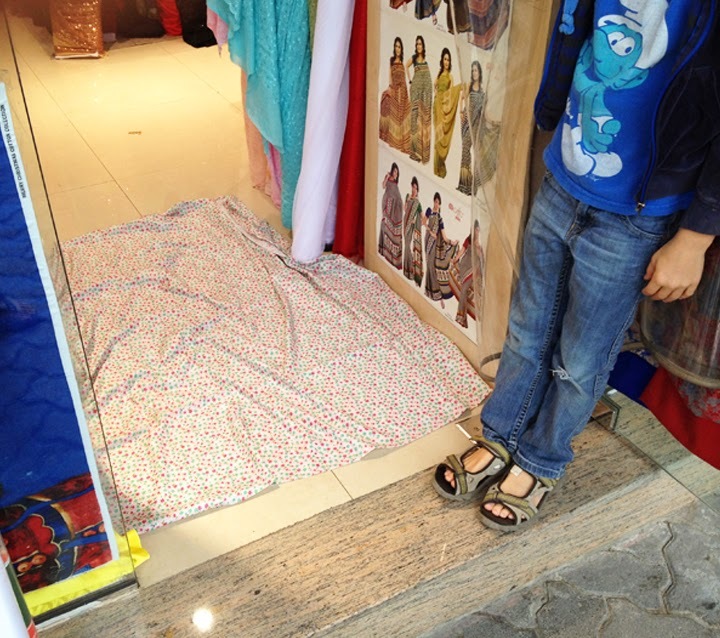 I took them to Satwa fabric area, we spotted some nice fabrics at Tahir, unluckily enough they were being used as doormat to avoid wet shoes inside the shop. 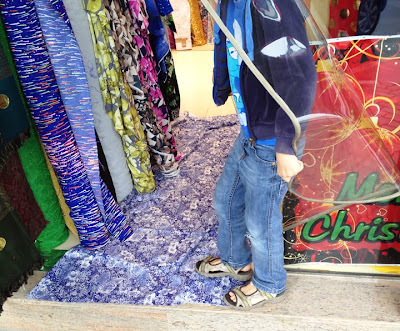 For a fabric-shopping-addict as myself it doesn’t feel right to use fabric as a doormat! Next post we are back to business!